You can also choose the older version of the eclipse. 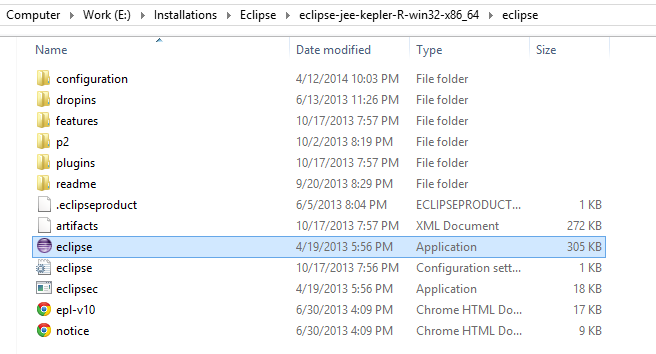 Eclipse does not provide you the .exe file. You need to download the Zip file and extract it. 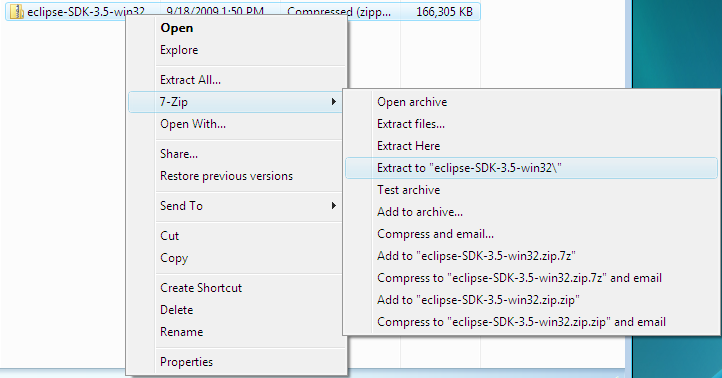 After extracting the ZIP file you can start using eclipse immediately. 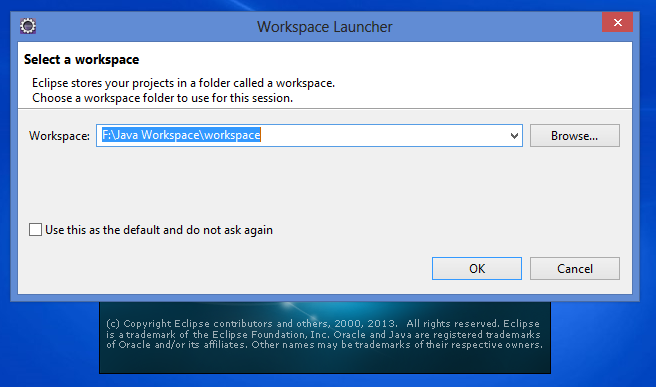 After extracting the eclipse, You need to use the eclipse by double clicking on the eclipse.exe file. Now you will be prompted to select the workspace.